A massage therapist since 1999, Moira focuses her work on women's emotional, reproductive, and digestive, health through energy work and abdominal massage. She works with the core of the body to release old patterns of emotional and physical holding. Since massage school, Moira has continued to develop her skills and techniques through various clinics and symposiums (see Professional Development). She is a Maitri BreathworkTM facilitator and ordained Minister of Walking Prayer through the Center for Sacred Studies. In addition to being a continuous student, Moira is also a teacher. For eight years she was a faculty member at her alma mater, Chicago School of Massage Therapy (CSMT), teaching all practical classes, lecturing, and mentoring in the school's student clinic. Over the years, Moira has seen the profound connection between the spirit and body, and the emotional states carried within. 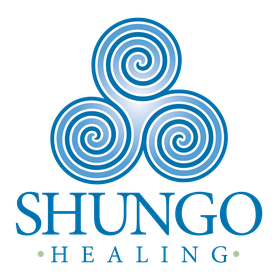 She has always searched for a way to use the science of anatomy and bodywork to facilitate emotional and spiritual healing, and now uses the tools of energy work and spiritual healing to deepen the healing process. Her own healing has taken her through a two-year Shamanic studies apprenticeship with Rainbow Journey, LLC. While this journey taught her tools for healing herself, it also gave her insight into helping others on their own healing paths. In addition, Moira has journeyed to Belize to study Maya spiritual healing, which deepened her understanding of healing and the body. It was through these studies, as well as those through the Center for Sacred Studies, that Moira began learning how the body and the emotions it carries can work together to achieve health. Her work now incorporates this spiritual and emotional healing while working with the core of the body. In this way, Moira is able to treat the body as a whole, facilitating the connection between the body, mind, and spirit, empowering the individual's journey to find the balance within.